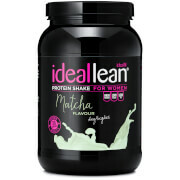 IdealLean Chocolate Brownie Protein will have you convinced it's sinful, but your waistline will prove otherwise. Whey Protein Isolate (84%) (Whey Protein Isolate (Milk), Emulsifier (Soy Lecithin)), L-Glutamine, Flavourings (Fat Reduced Cocoa Powder, Flavourings, Sweetener (Sucralose)), Calcium Carbonate, Vitamin Blend (Pantothenic Acid, Biotin, Vitamin B6, Vitamin B12, Thiamin, Riboflavin, Folic Acid, Niacin), Fat Reduced Cocoa Powder, Acai Powder, Blueberry Powder, Mangosteen Extract (4:1), Vitamin D3, Chromium Picolinate. This tastes just like a chocolate brownie, which first of all is amazing, it can be used in hot chocolate and some food/baking recipes as well so it is is versatile. I've found that the amount in one scoop is less than with other protein's but packs much more protein in it. My only problem is I do not like this with water so instead I use it with milk and it tastes perfectly, not overly sweet, it doesn't taste like protein, it really does taste like a brownie. I normally detest the taste of protein powders mixed with water. Decided to give this one a try and not disappointed. The taste is smooth and creamy even with only water. Great way to get a chocolate fix. Saw a recipe which required brownie whey, this is the first one I came across. 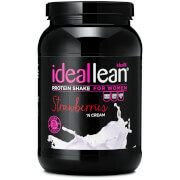 I find this shake doesn’t lump, have that artificial sweeter taste or fake chocolate tasting! I mix with milk and ice for the extra calories and thickness. The best on the market at a reasonable price. As a professional dog walker and covering an average of 20 miles a day I need something for quickness, taste and quench thirsting. Great as a snack, post or pre workout. Really love this flavour. It isn't overly sweet and is the best tasting chocolate protein powder I've tried with no artificial after taste. 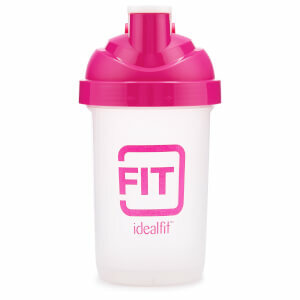 It also blends really well either in a shaker or in the blender. This is one of my favourite flavours of protein powder! It tastes less artificial than usual chocolate flavoured powders and is perfect for shakes or baking! 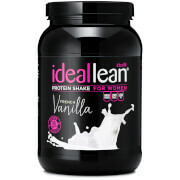 I have tried a lot of different chocolate Protein shakes and thsi is definitely my favourite. The taste is really good. Not too sweet and no weird aftertaste. It dissolves completely in water, milk, almond milk etc. You don't even need a Shaker, just stir it with a spoon. And the best part: Mix it with hot water und you get healthy hot chocolate!